Every year the University of Colorado Boulder athletic department, CU Athletics, uses 12 million gallons of water in the locker rooms, keeping the fields green and at sporting events. This year they decided to do something about it. CU Athletics and The CU Environmental Center teamed up to save 11 million gallons of water, restoring it to the dwindling Colorado River. CU Boulder’s campaign, Water for the West, is part of a bigger initiative called Change the Course that’s already restored almost 5 billion gallons to depleted rivers around the nation. Change the Course began in 2011 when a freshwater fellow at National Geographic, Sandra Postel, began brainstorming with then vice president of Bonneville Environmental Foundation’s (BEF) water stewardship program, Todd Reeve, to facilitate hands-on water conservation. They started by getting the public involved in conserving the Colorado River, which starts in the Rocky Mountains at La Poudre Pass and ends in the Gulf of California between the Baja Peninsula and mainland Mexico. The Colorado supplies drinking water, food, energy, recreation and work for 30 million Americans, according to Change the Course, but it’s so depleted that many years it no longer reaches the sea. Change the Course asked people to pledge to eat less meat, buy less stuff, recycle more and generally use less water. 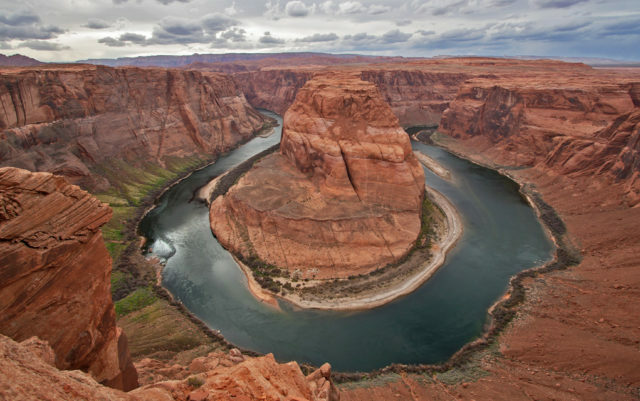 For every pledge, they promised to restore 1,000 gallons to the Colorado River basin.